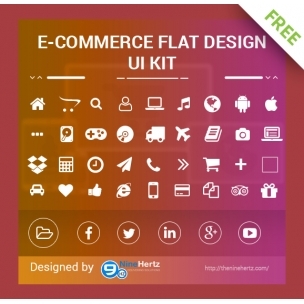 FREE eCOMMERCE FLAT UI KIT - flat eCommerce icons, social media icons, sliders. 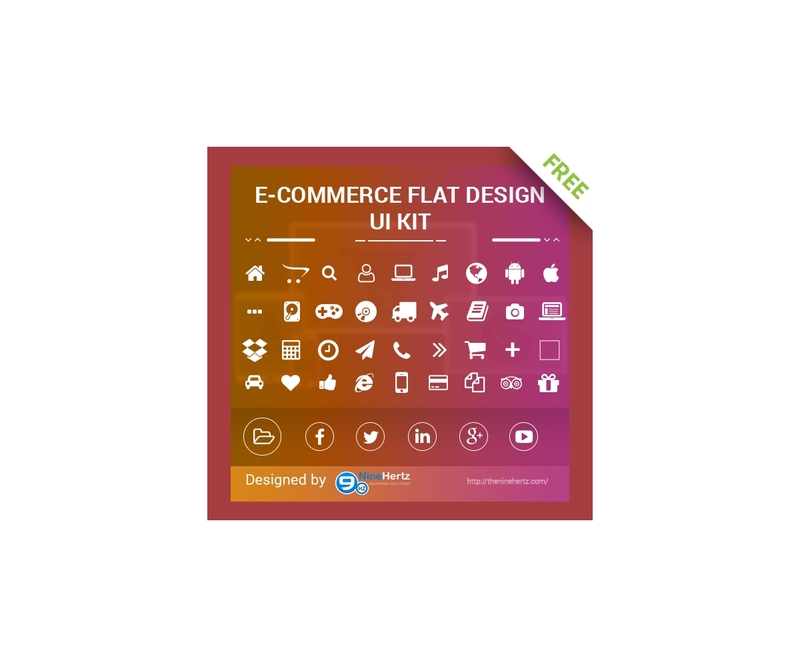 Free web resources for your next project. 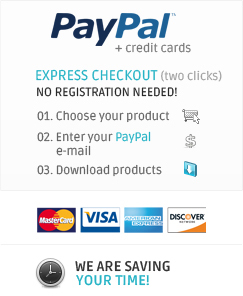 eCommerce icons: home, folder, search, android, apple, google, delivery, transfer, call, gift, calculate, clock, buy now, photo, music, play and more.